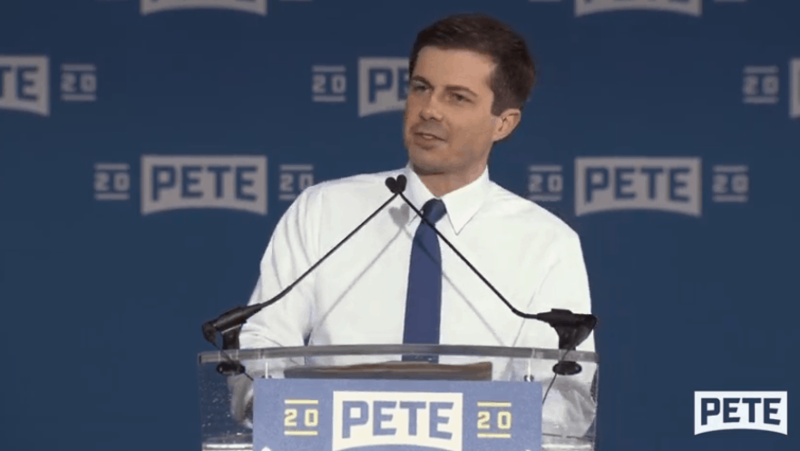 FORT DODGE, Iowa (AP) — Democratic presidential candidate Pete Buttigieg was confronted by a religious protester at an Iowa town hall Tuesday but said he “respected” the protester’s passion. After the openly gay mayor of South Bend, Indiana, spoke about the need for marriage equality, the protester stood up and shouted, “You betray your baptism!” He was then escorted out. News from the Associated Press and its network of reporters and publications. Why in every article about pete does it mention he is gay??? Is that the only thing he has to offer to politics??? I’m gay vote for me!!!! Get a grip!! Nobody cares about Pete he won’t get nominated he just wants a nice big pay check. Oh btw he was never in combat sorry no gay war hero here. I was disappointed with the attack on our VP Pence. It was uncalled for, and disrespectful to the former Governor that never once said anything against the Mayor. VP Pence has a daily Bible study for those in the administration that want to attend. He’s a faithful Christian with a biblical worldview, and a leader this country needs. The ridiculous comments made during his coming out as a potus candidate for the dem party was not worth saying. Hey Mayor Petey, what do you think about Romans 1-2? Probably reject it as what – untrue to your creator? Oh, there’s more there than just those two chapters. The Mayor a closet Marxist and has been groomed and recruited by powerful and wealthy people to “Advance the Cause” starting with a Mayoral election which was a certain win. He is not just some guy who decided to run for Mayor. Bigger things have always been planned for this guy. He was selected and is now being pushed forward. His Communist Father, I’m quite sure, is exceedingly proud of his son’s progress to date. He WILL be the Democrat nominee. Biden will not run and if he does, he will be eviscerated by the far Left of the Party. They have TONS of dirt on the guy. Beto was a clown and went down fast and hard. Sanders is now subject to powers in the Party wanting him gone…in favor of you know who. They now have their man and that, as they say, is THAT. The young Marxist will face President Trump.